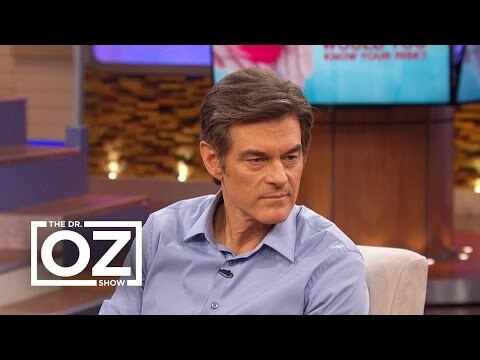 Dr. Oz and Dr. Soma Telani identify and discuss the most common symptoms and risk factors of a silent heart attack. Women don’t always get the same classic heart attack symptoms as men, such as crushing chest pain that radiates down one arm. This heart attack symptom can happen to women, but more often, than not, women experience what can be called, “silent” symptoms that are often missed. Breaking out in a nervous, cold sweat is one of the most common signs that a woman is having a heart attack. It isn’t the same as sweating from exertion, heat or even hot flashes. It will be more a sweat like stress-related sweating that doesn’t have any reason to it. Women often experience chest pain or discomfort that feels like squeezing or fullness. This pain is not always on the left side like it is, most commonly in men. For women, it can be anywhere in her chest. It will be very uncomfortable and can feel like a vise is being tightened. Pain in your jaw, neck, arms or back between your shoulder blades are symptoms that women experience more often than men. It can be a sudden pain or a gradual pain that may wax or wane before it becomes more intense. If this type of pain wakes you up or makes it hard to sleep, it could be a symptom of a heart attack. Stomach pain that signals a heart attack in women is more than just heartburn. Sometimes women mistake stomach pain that signals a heart attack with heartburn, the flu, or a stomach ulcer. Other times, women experience severe abdominal pressure that feels like an elephant sitting on her stomach. Shortness of breath, nausea, or lightheadedness can all signal a heart attack in women, especially if you’re also having one or more of the other symptoms. It can feel like you have just completed a marathon and can’t catch your breath. If you’re having trouble breathing for no apparent reason, you could be having a heart attack. A feeling of extreme tiredness without an rational reason can be a sign of a heart attack in women. If you feel like you can’t do a simple activity, like walk to the bathroom or get out of bed then consider the possibility of a heart attack. More than just a depressed feeling or feeling “down,” women can feel as if something bad is going to happen but can’t really pinpoint the reason behind the feeling. This can often be dismissed or overlooked by others as being silly. Women, also, tend to delay getting help more than men, down-playing any one or all of the symptoms and not wanting to bother others. WHAT SHOULD YOU DO IF YOU ARE EXPERIENCING ONE OR MORE OF THESE SYMPTOMS? Not every woman gets all of these symptoms. If you have chest discomfort, especially if you also have one or more of the other signs, call 911 immediately. Whatever you do, don’t delay, don’t drive yourself to the emergency room or have others drive you… and, most importantly, don’t dismiss what you feel.